What’s the best way to provide my team access to Coassemble? Every Coassemble account includes access for at least 3 staff members for each organisation. From this screen you can invite Users to a single Department to which they are confined (i.e. ‘Department Managers’), or as ‘Workspace Managers’ (which provides them with Administrator access to your entire account). 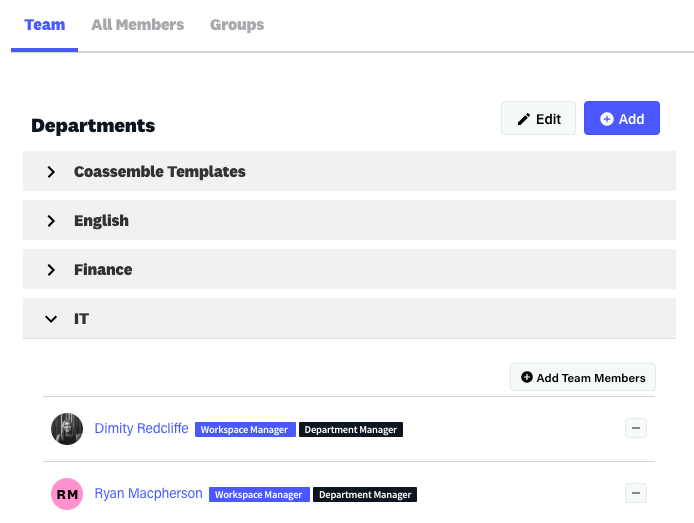 To begin adding a new Team member (or members), select the ‘Add team members’ button on the Department row. Step 1: Search users using the input box, and if the user you’d like to invite isn’t listed, click the Add New Members button. Step 3: Select ‘Add’ to preview your changes, then select 'Add Users' to confirm your selection. 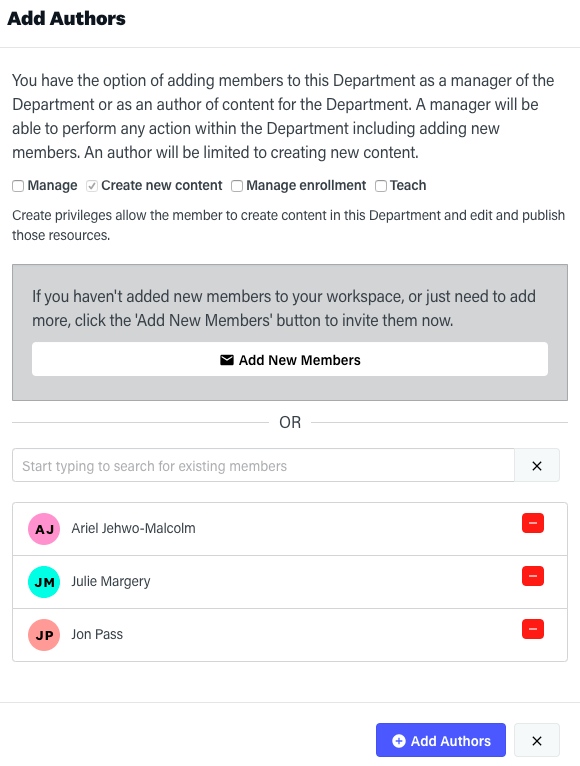 Step 4: Finally, select ‘Add Authors’ to add new Authors to your Department. 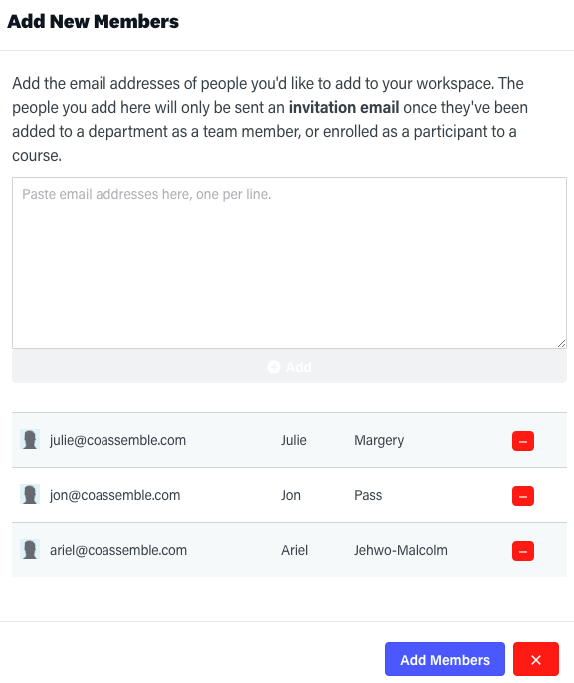 Any Users added will automatically be sent an email invitation inviting them to Coassemble Campus. 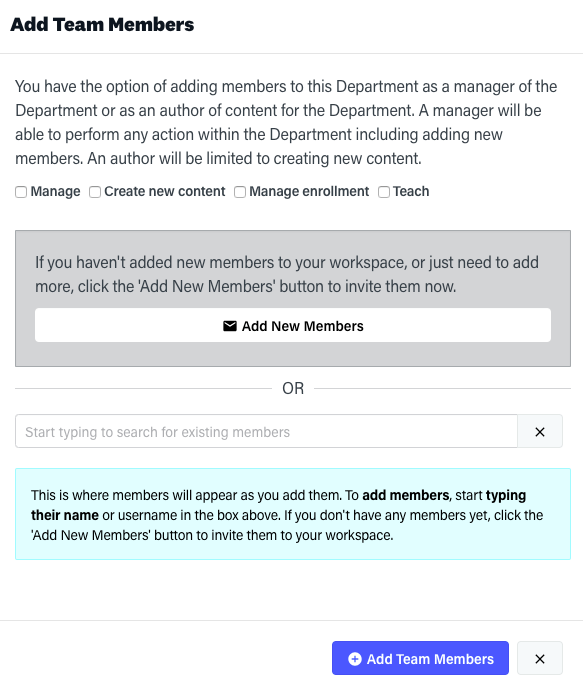 Note: in this example we are adding a new Authors, but the process is the same for adding a Facilitator or Department Manager. Just use the permissions checkboxes shown below to add and remove permissions. 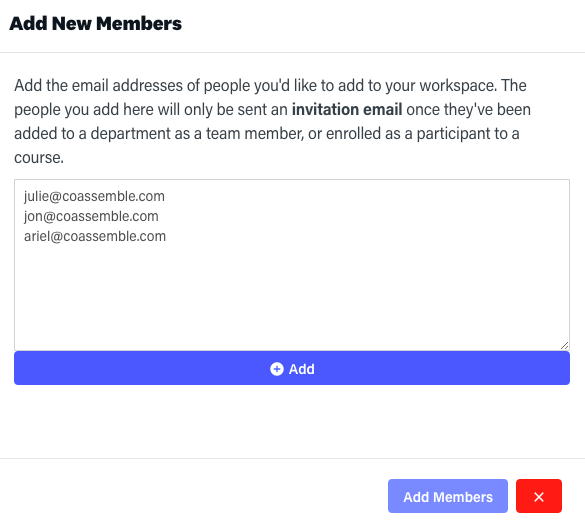 The Coassemble ‘All Users Panel’ allows you to invite Users to your account and assign them permissions.